This Cavapoo nicknamed Buster sold and went to a new family. 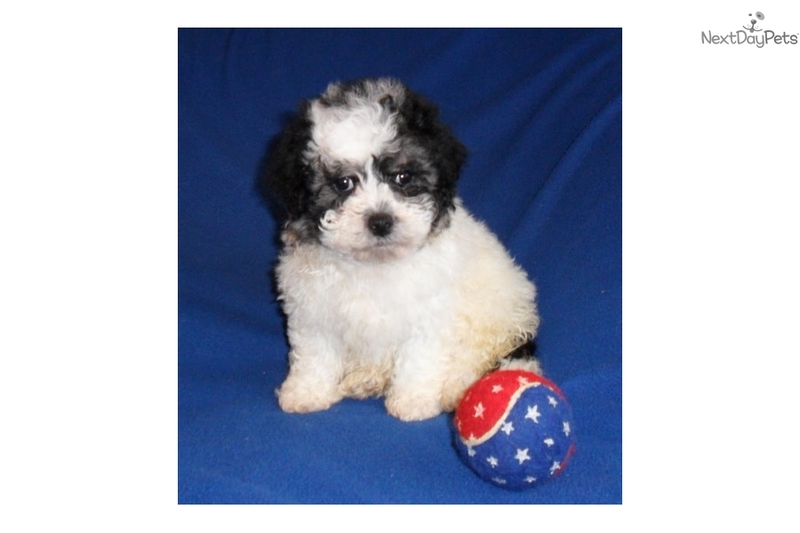 Teddy Bear BICH POO PUPPIES FOR SALE IN OHIO: BichonPoos or PooChons are a mix between a Bichon Frise and a Poodle. When bred with a Toy Poodle, they usually weigh between 10-12 pounds. 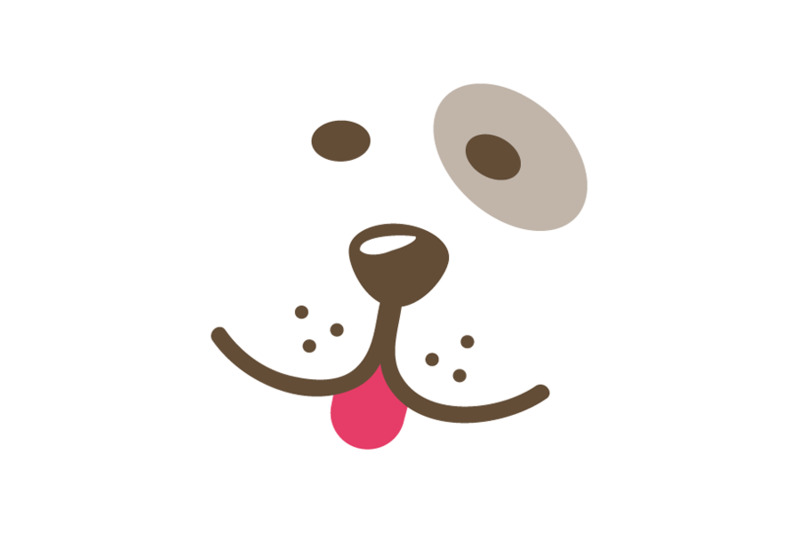 They are playful, happy and sometimes mischievous dogs. They love, love, love their people and can become very unhappy when left alone. These affectionate creatures can be a bit stubborn, but they are very patient as well. The PooChon can be quite energetic and will invite everyone to join in the fun. Because of their small size, they are well suited for small dwellings and will quickly learn to be good watch dogs as well. The PooChon’s color is usually light depending on the color of the poodle, but can be found in the darker colors as well. Their thick, non-shedding coats should be brushed regularly and professionally groomed every 6 weeks. TRUTH ABOUT BOYS AND GIRLS: There's a little known secret that us breeders hold and that groomers and vets often concur with. Generally speaking, boys can be easier going, not as hyper, and more eager to please. They are often not as stubborn and tend to like all people rather than acclimate to just one. That certainly doesn’t mean that boys are better than girls. It simply means that the fallacy that girls are nicer personalities can actually be just the opposite. Most people also don’t realize that girls can be territorial, are often more aggressive, and more protective than a male. A female can also mark her territory and be the Alpha dog. So given all of that, it pretty much puts both males and female on the same level as far as trainability, adaptability, and personality in most cases. Something to think about… ABOUT US: We got our first poodle 15 years ago when my children wanted a dog and was looking for one that didn't affect their allergies. Previously, we have only had strays and rescues but with the need for a non shedding dog, I went on the search for a Poodle. We had so much fun with the pup that we considered hiring a stud and having a litter of our own; only to find out that for the price, we could buy another little boy. So we did, and our little venture built from there. I specialized in chocolate toy Poodles and had a very good champion line going back to San Gai and Callimont Kennels. For many years, I had only three females and a little boy. These dogs were my pets as well as my passion. Although my pups primarily go to people for pets, I did sell a couple every year to breeders, but only sell to in-home breeders. A few years ago I gave my friend her first male poodle and she started breeding on the same scale as I. Later she bought a Cocker Spaniel and allowed her male to breed. The pups were a hit! Little by little we realized the advantages of "designer pups" and I was introduced to an exciting variety of dogs that did not shed and puppy mixes that my children could tolerate. Thus, our passion for these new “Puppy-poos” was born. I do all the advertising for the babies. Our homes are hopping and busy, and our children have joined in and earn some college money at the same time. We have introduced the Puggles to our lovely designer pup selection, which are the only smooth coat breed we do. We feel so privileged to raise a variety of adorable critters all year round. I feel so fortunate because I get to do what I enjoy most. We choose our breeding dogs for health and personality. They are our pets. Our goal is not champion or show quality. Our desire is to produce a sweet tempered, loving personality to be companion dogs. Several of our pups over the years, however, have been trained and used as service and therapy dogs. We allow our girls to skip their first heat and every third heat thereafter. The pups are born in our home and wean in their – and mom’s - own timing. The pups need to be 8 weeks old to leave. If they are of a very small breed or are nursing longer than usual, we may choose to keep them longer. I am a member of Breeder's Club, my "kennel" (it’s more of a nursery in my home, rather than an outside kennel) is licensed by the county, and I have regular inspections from the PSCA and a licensed DVM as well as keepig an A+ with the BBB. At this time, there is no credible registry for the designer pups. Our adult dogs are AKC or CKC registered. You can find reviews for me on Puppy Find and see Sherry’s Posh Pets on Face Book. All pups are de-wormed on a regular basis, vaccinated, and come with a one year health guarantee for any genetic defects because we are confident in the quality of our babies. We raise our pups for temperament and personality; working on trust and responsiveness from an early age. All pups come with at least their first vaccines, two de-wormings, and are kept current for their age. Pups come with a care pack and instructions, and a one year written health guarantee. We do not ship our pups but I can meet you at the airport if you want to fly in to pick up your baby. In some circumstances I can deliver your pup or meet you part way. All of our babies are well loved, pre-spoiled, and well socialized to people and other animals. Our babies deserve good homes, so convince me that you will love your new little one. So, who says you can’t buy love?